The SW01 from Sailun is a premium regional and highway drive tire designed for all-season traction. Ideal for use on dump trucks, ready mix trucks, refuse trucks, line-haul, and pick-up and delivery applications, this versatile tire is perfect for all weather conditions. It's engineered with an aggressive, symmetrical tread pattern and extensive siping for excellent traction and confident handling on mud, ice and snow. 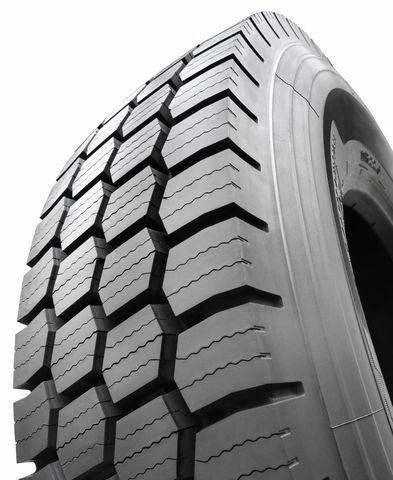 The tread design is optimized to resist stone drilling and promote self-cleaning, and the tire comes with a 3 Peak Mountain Snowflake (3PMS) certification for severe winter service. Purchase includes the Sailun SW01 tire only. The wheel rim shown in the picture is not included. Picture provided is a stock picture from the manufacturer and may or may not reflect the actual product being ordered. All Sailun SW01 tires are continuously developing with manufactured improvements. With that said, Simple Tire and the manufacturers have the right to change these tire specifications at any time without notice or obligation. Please Note: Specifications of the Sailun SW01 tires shown above are listed to be as accurate as possible based on the information provided to us by Sailun tires.